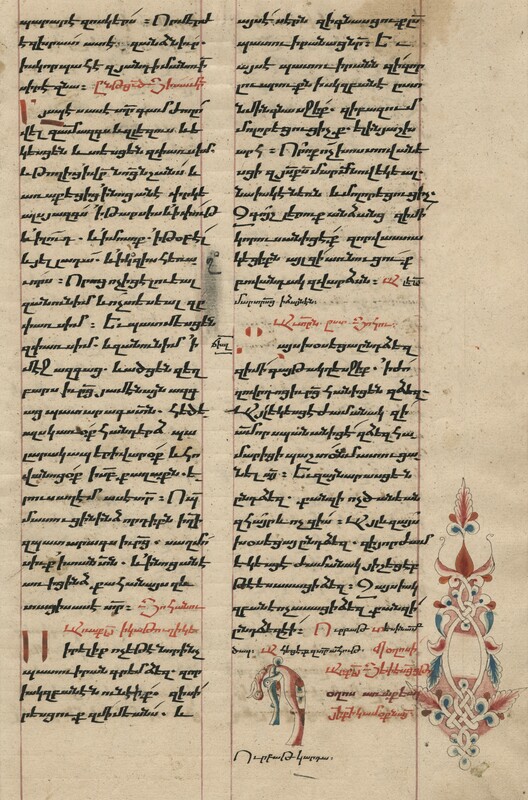 Armenian Manuscript Bible, 1121 A.D. One Leaf. Original Leaves from Famous Bibles, 1121 A.D. – 1935 A.D. Collection assembled by Otto F. Ege. St. John’s University Archives and Special Collections. 1122 A.D. – 1935 A.D.
1115 A.D. – 1935 A.D.